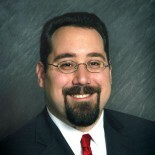 Immigration Lawyer Ari Sauer - The Immigration Answer Man | Memphis immigration lawyer Ari Sauer provides news and information on US immigration law. What do I do when I become a US citizen after filing an I-130 petition for my spouse? My father filed an I-130 for me when he was a Permanent Resident. I got married before my father became a US citizen. Is the petition he filed for me still valid? Can I file my I-485 application before my I-130 petition is approved? Can I do anything to get USCIS to issue my Advance Parole travel document sooner?